I've also included two videos from tonight's America's Got Talent for your viewing pleasure. I'll add my July AC articles to this post as I publish them, just as I've added to June's post. Thanks for reading! 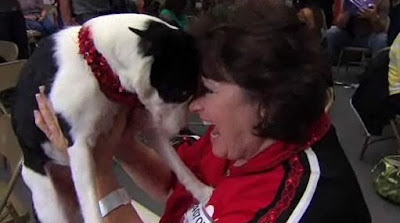 PHOTO: Pam Martin and pup Viva on America's Got Talent, Auditions Day 4, screencap c2009 NBC.